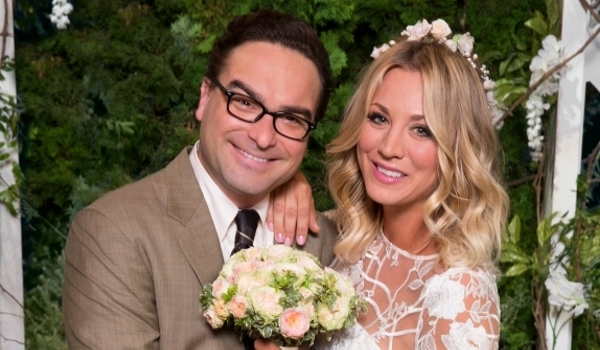 The Big Bang Theory begins its Tenth Season on the eve of Leonard (Johnny Galecki) and Penny (Kaley Cuoco) renewing their vows in front of friends and family. While Sheldon (Jim Parsons) and Leonard fret about the possibility of their parents (Judd Hirsch and Laurie Metcalf) sleeping together after their rehearsal dinner, Penny brings her bickering family (Keith Carradine, Katey Sagal, and Jack McBrayer) in from Nebraska and Howard (Simon Helberg) frets over a member of the U.S. Military's interest in talking with him. The premiere finds a job for Bernadette (Melissa Rauch) wrangling the rowdy crowd while officiating the wedding. While the wedding offers a nice moment for the bride and groom, the highlights of the premiere come from the various family dysfunction and the humor which comes from the various family members coming together. McBrayer isn't who I had pictured as Penny's brother, but his humor certainly undercuts the seriousness of his drug problems. As for Howard, and his problems, looks like we'll have to wait at least a week before learning more.